I felt obliged to write this post - knowing that there's other people out there who, like myself, are going to have a very different Christmas this year. I have been through many 'firsts' this year - one being 'our' birthday, yet I knew that Christmas was always going to be the most difficult. There's no escaping it - Christmas is everywhere, and whilst I used to love and relish in this, there's a certain sadness to it now that cannot be explained unless you are experiencing it yourself. I've been dreading this time of year since ... well, the start of this year, if I'm perfectly honest. The thought of an empty seat at the dinner table, a name missing off the christmas cards we receive and one less pile of presents sends cold shivers down my spine, and fills me with a dread so deep I believe that I could drown in it. Christmas has always been one of my favourite times of year - I love how there's this global, festive cheer, and (almost) everyone seems to be in a good mood. Yet before now I've always taken it for granted, believing that each Christmas would always be the same for years to come. 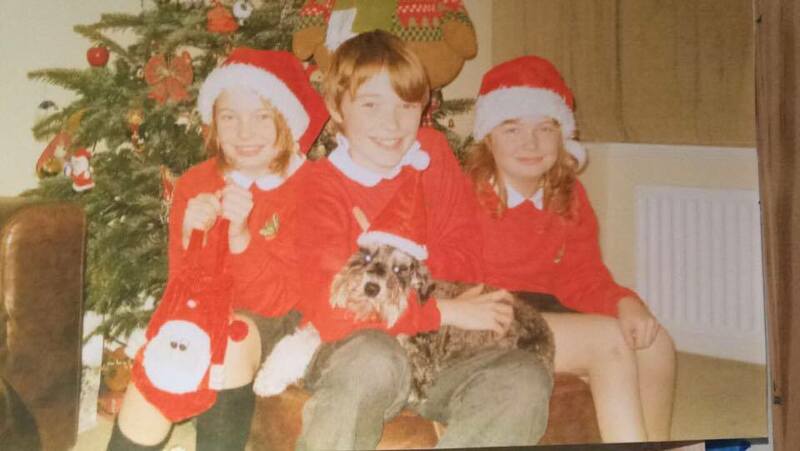 I expected my mum to be taking the 'annual christmas card' pictures of the three of us every year, whilst we all cringed at the prospect that our faces were going to be displayed on the mantle pieces of distant relatives we'd only met a handful of times before. Truth be told, I had visions that the entire month of December I was going to be in this extreme state of sadness - tearing up every single time I saw a christmas tree and noticeably cringing every time someone even mentioned anything remotely festive - yet it hasn't been like that at all. Of course, I'm not going to sit here and claim that there hasn't been moments where the pain of losing someone who utterly adored this time of year hasn't hit me hard - trust me, there's been plenty of those - but I've also found great comfort in the memories of the Christmases we all shared together. Anyone who knew Luke will remember that he had a different Christmas jumper for every day of the week - and would take great pride in wearing them whenever he went out and about. 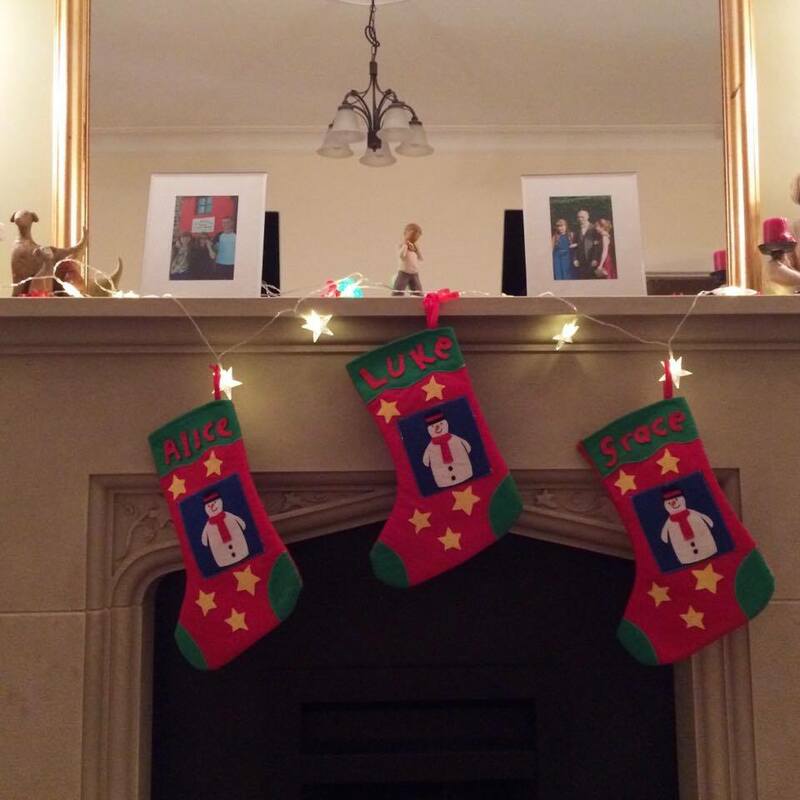 I will never forget the grumpy look on his face when Alice and I used to wake him up at 6am so we could all check whether 'Santa' had been, or when he would sing the Christmas carols at the Church service so over dramatically it would have us all in stitches. Something I still laugh about to this day is when he went out and bought the biggest angel for the top of the Christmas tree he could possibly find, or how the three of us had a tradition of watching The Polar Express every single Christmas eve. All of these memories are so precious, and I know that I will treasure them for the rest of my life. I know that it's going to be different this year, and that the traditions will feel incomplete, but it's also so important to carry them on. Being filled with dread over the inevitable seems silly to me, so instead I'm going to embrace it. (I've been listening to 'Do they know it's Christmas' on repeat, and it puts me in the best mood ever). For anyone who has lost someone close to them, and are finding this time of year hard (understandably so), I think that instead of focusing on the sadness that Christmas brings to your family, you should also take comfort from the memories of the Christmases you spent with your loved one, too. I wish I had some great advice on how to make the pain go away, but I'm still trying to figure that one out myself - all I can say is that sometimes the sheer thought of how something is going to be, is often worse than it actually turns out. There's no denying that Christmas day is going to be a tough one, but I know that being surrounded by family will make it so much easier to endure. That being said, we don't have a choice but to celebrate Christmas in a way that Luke would want us to - except for the waking up at 6am part, I'm an old lady now! I hope you're having a lovely week, and I'll see you next wednesday!